Welcome to a new episode of “Niẓāmunā al-Mūsīqī” presented with Mr. Mustafa Said. Today’s episode will be about practice and training. You will explain the difference. Mr. Mustafa, there is a lot of debate around practice. A lot was compiled, written, and discussed concerning practice, mainly in the west whose books and conferences reach us. Yet very few talk about practice: Instrumentalists are sometimes ashamed to say they do practise. True… They would say they were born like this, that it was God’s will, that they were born with a ‘ūd in their hands…etc. Tell us about practice in general… and explain your perspective on the subject. It is not limited to talent… I practise. I do not know if this is why I have failed. Let us start with the “Deliberate Practice” study that compared the violinists in the west, as a model, who follow the classical system that focuses on the factors that make a successful instrumentalist. Is it the number of practice hours, the type of playing, or the exercises, the method, or something else? The study covered a large segment and its end result was the title of the study itself, i.e. “Deliberate Practice”. Why, how long, for how many hours a person practises. How can we apply this to oriental music? First: one must know why he is practising and what he aims at becoming. Second: one must ask himself if he knows who he is. Then, he should ask himself if he is satisfied with what he has or if he wants to evolve? If he is satisfied, then there is no need for practice. Whereas if he wishes to evolve, then he must practise all the time. I think it is hard to find someone who does not want to evolve. I personally want to evolve and be better. I am not fully satisfied as I think I can be much better. Not because I want to be like someone, or better that another. I do not care about competition, even noble competition. Ritchie, a famous violinist among those nicknamed Paganini –there are many Paganinis– said that from the moment one closes his violin case and puts it aside until his next practice session, he loses half an hour of what he had gained during the previous session. So what about the instrumentalists who limit themselves to practice? How many half hours would they then lose in their lifetime? Yet I do not practise to become a virtuoso like Paganini. Practice does not only aim at strengthening technique. Muscles also play a part in this. Furthermore, practice is not necessary for one to be fascinating, as creativity also plays a part in this. 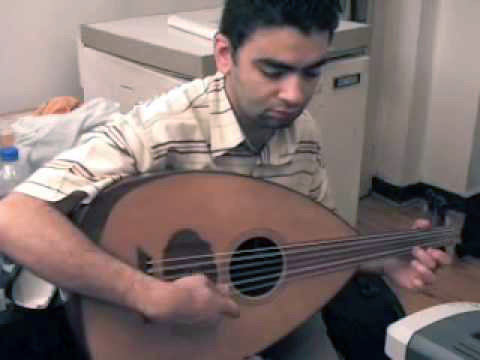 Brain function is needed to produce new phrases in the taqsīm, to discover the techniques you lack, the other sounds or forms that can be extracted from this instrument. One must reactivate his memory and his ability to interpret a certain work… through ornamentations…etc. when reaching a dead end, on must practise so he can find new possibilities. All this added to exercises on the technique level. So both technical and brain exercises are needed. To some, the brain is more important than technical, i.e. muscle and fingers, exercises. The brain does send the order to the muscles, yet if it is trained while the muscles are not, the result would be null. There should be a balance: if the muscle or the thumb do not move, how would you move the ‘ūd’s pick? With your shoulder? You will not produce the required sound. What about the correct way to hold the instrument, and all the related issues. Does the priority go to the brain or to mechanical practice? There are exercises consisting in sequences of similar movements to train the fingers, and other exercises, either with sequences or not, whose do not focus on the technique but rather on expanding the senses of the musical phrases. Before we enter the core of our subject: Am I wrong or are there two extremes: practice is either completely neglected or is exaggerated? Exaggerated practice concerns those who only practice to train their muscles. Neglecting practice is not worth discussing. Listening, to everything and anything, is the most important part in one’s practice. One must listen in order to know why he does not like something, for example… or why he chose a certain path. Listening equals more than half the work. Does exaggerated practice lead the instrumentalist on stage to display his performance in front of his audience? This instrumentalist also practises. But he is calm and relaxed, not nervous. In western classical music, the exercises are divided into phases and types, such as the scales, ornamentations, and techniques… Can you tell us now about good oriental practice? The question is if the one who does the last phase exercises does, or not, those of the first phase. By first phase I imply when one does not know how to hold the instrument yet. Does he need to know the basics and build upon them? Until today, I still make sure I am holding the pick correctly, that the fingers of my left hand are in the right position, that the thumb and the palm of my hand are not too close to the forearm, that my thumb is not flexed. I make sure all is in the right position to ensure correct playing, even though the one watching me thinks I do not need to. Everybody must start from scratch, go back to zero. There is no fixed sequence of steps… It is the demand that dictates what is to be done. Yes. Each case is different. What determines if the instrument and the pick are held correctly? Is it the sound or something else? So, what is the good/correct oriental exercise according to your experience? It is the same as the good western, Indian, or Chinese exercise. Does it follow the master/disciple system, or the individual practice at home? Whether in the classical western music system, or any other, one learns through the master/disciple system, and trains through individual practice. Is practice rated as good according to the number of hours and how long one trains? During the learning period, the more one trains the better it is. I always advise people and myself to practise in the morning because when one wakes up, the body is ready to take things in… to welcome a new days and new elements…etc. Thus, training in the morning is more effective than at any other time in the day, because in the morning one’s brain is ready to produce and to receive new elements. And you would be warming up your muscles on your instrument. This is a very good thing. It depends on your luck and your capability. What is a model training session? I first start the right hand exercise. Then I start with my left hand. I work on the relation between the fingers, and the relation between the fingers and the pick. I choose a maqām (modal key) and play it ascending and descending with different taf‘īla-s (trochee-s), not necessarily a scale, and try to reach the farthest position possible. Then I go back to zero and start again. I play a second, a third, a fourth, a fifth, a sixth, a tenth taf‘īla… as many as possible. Then I select a piece or phrase and search into it to find out what can be made of it. If I still have time… and it depends on my whim… whether I want to perform taqsīm or something else…etc. Is the training different depending on the circumstances? I.e. if you have a concert, or a new ensemble you are working with, or a new piece you are learning? Memorising, training, rehearsals, and group training are part of the practice. But I do not think daily warm-up training changes. Though training more would be a good thing. Yet being nervous because one has a concert or something else coming up is useless. We go back to the same issue: I hold a concert because it makes me happy and make my audience happy. So why would I proceed differently? Of course, those who do not train at all must do so before a concert. Now, if someone loves music for oneself, which by the way is not selfish at all… It is rather the peak of generosity to be happy with what one is giving with all his heart. So the issue is not limited to the concert and having to train before it…etc. Is there a sequential evolution pattern for a one year’ practice? In the beginning, one trains with what is inherited and existing. 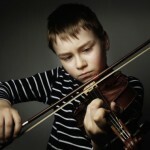 Then, one discovers what he lacks in technique, a position he can’t play, or a new sound he wants to produce… So he searches for the means to achieve his goal. He will also transmit it to others for it to become a new inherited element.